First Choice Debt Relief offers a useful debt calculator to help you understand your debt. The company also offers a money-back guarantee. First Choice Debt Relief offers a unique program to help its customers get out of debt quickly and save money in the process. Since 2008, they have been committed to being a positive light in the industry. First Choice’s team of experts continually puts the customer first and as their top priority. First Choice Debt Relief’s track record and reputation demonstrates this dedication, and customers benefit from that practice. The company’s services are backed by a money-back guarantee. First Choice Debt Relief stands behind its service, and includes a money-back guarantee with all of their debt relief programs. At the end of the program, if one has paid back the total amount to their creditors (including the service fee), and the total exceeds the original balance, First Choice will refund the difference. However, it is important to note that the guarantee doesn’t apply to customers enrolled in an attorney-based debt settlement program. Additionally, the money-back guarantee does not promise balances will be lessened by a specific balance or timeline. Customers can enjoy a debt calculator that helps them understand how long it will take to pay off their credit card debt. One can see the difference in the totals from choosing to just pay the minimum payments, or using one of the debt relief programs. Customers can input their total unsecured debt, targeted months to pay the debt off, number of creditors, and average interest rate to discover the total cost and total time to pay off the debt. Totals can be seen for the following: First Choice Debt Relief consolidation, just paying the minimum payments, credit counseling, and other consolidations loans. First Choice’s website lacks a lot of key information. Necessary information on fees is not elaborated on. While the company does not charge upfront fees, it is unclear whether or not First Choice charges late, or cancellation fees. The company also does not explain the specifics of its monthly fee. Additionally, the website does not clarify if the company has a minimum debt requirement. Customers must have at least $10,000 of credit card debt in order to receive help from First Choice, even though there are many customers who need help for a smaller amount of debt than that. This minimum debt requirement is quite high in the industry. This greatly limits the number of people who can use First Choice’s services. There is a very specific set of circumstances that a customer must have in order to get help from First Choice Debt Relief. The company will negotiate with creditors to reduce the principal amount owed. For those customers who have the right circumstances, this is a great option; however, it should be noted that this is not a true debt consolidation company. Customers seeking debt consolidation should seek another company. The program of debt settlement that First Choice Debt Relief offers its customers is different than other companies because it reduces the overall amount owed instead of just the interest rate. This not only saves the customer money in an obvious way, (the principal amount they have to pay), but also because it generally means a shorter time period to pay off the debt. Customers who use First Choice often pay off their debt in 24 to 48 months. First Choice has a policy to never charge anyone a fee to start using their services, no matter the scenario. Customers will have a free consultation phone call where they can get an estimate of what their savings might look like through First Choice. First Choice Debt Relief has been providing debt relief services since 2008. First Choice Debt Relief has very limited educational resources. There is no known cancellation policy for those customers who work with First Choice Debt Settlement. First Choice Debt Relief works with unsecured debts only. 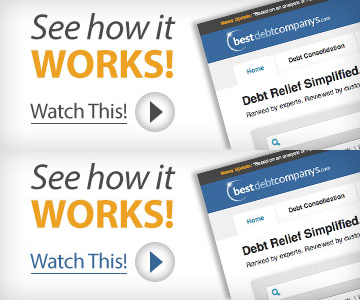 First Choice Debt Relief offers a mobile-friendly site. First Choice offers debt relief programs. First Choice Debt Relief does not have a minimum debt published on their website. First Choice Debt Relief offers a dashboard for customers convenience. First Choice Debt Relief is not CPFC certified at this time. First Choice Debt Relief is not ISO certified at this time.